The possibilities are endless when combining these brands together, now you can rep your favorite combinations. We've made this powerful trio official by putting it on a stylish BBQ shirt! 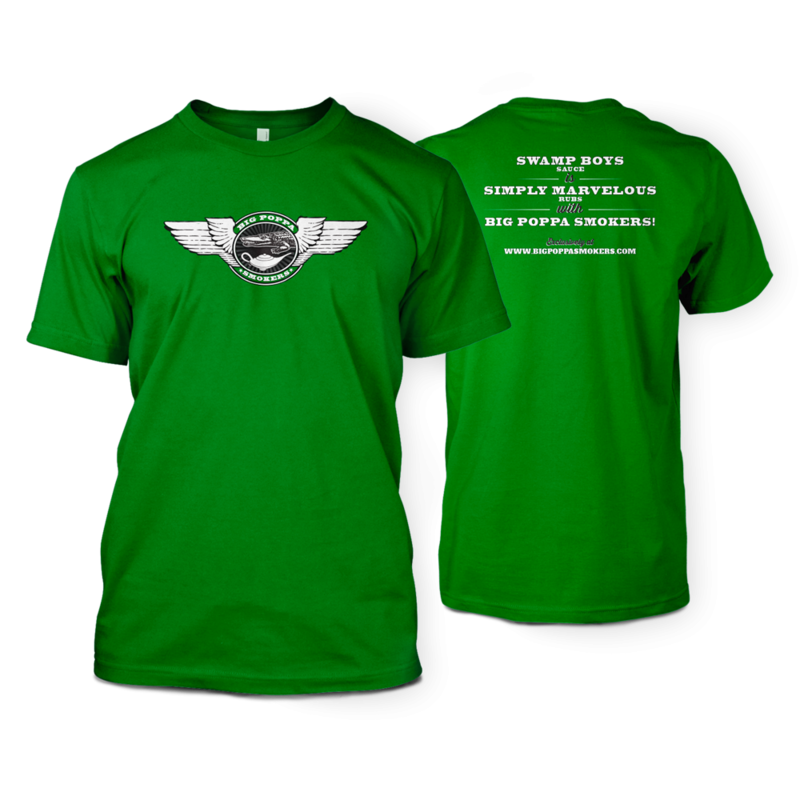 Wear this powerful trio on a green t-shirt which features the BPS wing logo, inside the wings is the Simply Marvelous genie bottle, and the Swamp Boys alligator, with Big Poppa Smokers printed around it in white. The back side of the shirt features Swamp Boys, Simply Marvelous, and Big Poppa Smokers printed in white. Need to restock on these rubs and sauces? We even have an exclusive pack of this trio with the t-shirt included. You can check it out here.